Being the father of four is a really interesting thing, especially so when you combine that with always having the latest and greatest in PC tech. My kids are all almost teenagers at this point, and as such, they provide a fantastic sounding board for the products that cross my test bench. Their input on what they think about the products I get is invaluable, as are the reactions of all their friends. That's a big part of what I think keeps me grounded when it comes to expectations about what PC hardware can do, and what's truly important. These kids within my local community are our next generation of gamers and PC enthusiasts, so it is really critical that at least some of the products out there appeal to them and not me. When the latest motherboard in my test lab appeared, there were some raised eyebrows for sure; what I had in my hands was the ASRock Fatal1ty H370 Performance. My kids have REALLY no idea who Fatal1ty is, but what they did recognize was in the name.. Performance. "Does that mean it's faster than the others, Dad? ", my oldest daughter asked. I chuckled to myself, a bit of pride hidden at the corners of my mouth. My kids just seemed to catch it right away... what you call your products is very important, and should they not live up to the expectations those names represent, should they not be a failure? Yet if they meet expectations, are they then not a perfect success? "I'm not sure how good this board is, Miss, but this isn't a high-performance chipset." I responded carefully, immediately aware of what this board should offer. 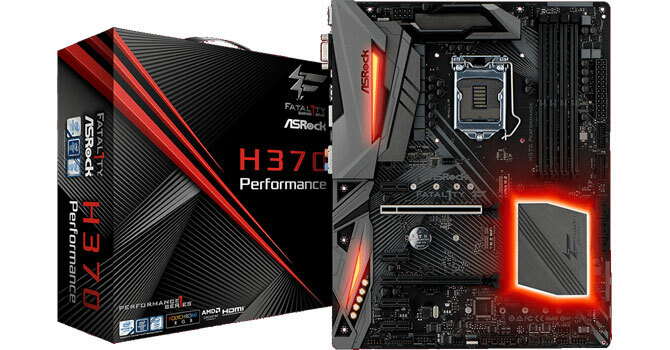 Here, we have a chipset that restricts performance-tuning options like overclocking and memory speeds above 2666 MHz, so this ASRock Fatal1ty H370 Performance board is clearly for those more interested in the non-K Intel CPU SKUs, which aren't exactly what we enthusiasts would consider "performance-oriented". Yet my kids could care less about overclocking. They like to play games like most kids and want their PC to work every time they hit the power button. They want decent audio capabilities so they can hear every in-game detail, and yes, they want some flashy LEDs to help light up their rooms at night, so I'm not yelling at them to quit sitting in the dark. 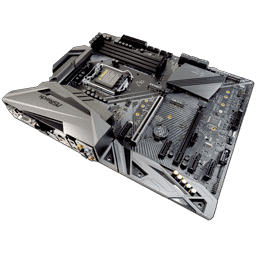 And this board, the Fatal1ty H370 Performance, really seems to be a perfect match for my kids, and that means it might be a great option for your kids too. This isn't an enthusiast overclocking board... it's a true mainstream board for gamers, and LOTS of kids are exactly that. It's quite affordable too, with it often going on sale for less than US$100, which is right within a budget-conscious gamer's affordability. So let's take a look and see if this board lives up to its name, shall we?